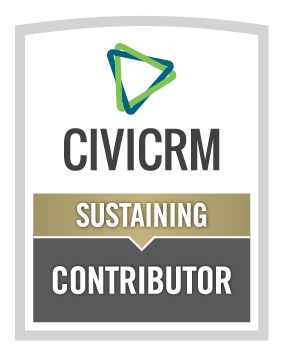 Cividesk provides affordable CiviCRM services for nonprofit organizations including implementation, training, data import, hosting, maintenance and support. We are passionate about nonprofits, open source and internet technologies. Building Cividesk has enabled us to bring these passions together for the better. We sincerely believe that by providing nonprofits with world-class technology and service at a price they can afford, we can help them be more efficient and successful in their mission and therefore increase their impact. Our solutions provide an infrastructure for nonprofits day-to-day operations, communication and collaboration tasks so you can focus on what matters most for your organization - fulfilling your mission. We have customers in North and South America, Europe and Asia, spanning all types of nonprofit organizations – charitable, humanitarian, advocacy, religious, political, governmental and trade-oriented. We are headquartered in Denver but also have a presence in France in order to best support our customers in various time zones, and a development center in India to answer our customer’s needs for software development and customizations. Our turnkey solution is delivered as a service - we provide you with full access to your CRM and other Internet applications and take care of all the rest. You will not need any technical staff, just a web browser and an Internet connection. There are also no commitment, and no surprises – a one-time startup fee and a affordable monthly subscription provides you with a complete solution, personalized for your organization and fully maintained over time. The Quickstart service includes everything to get you started on the right tracks: a questionnaire and interviews to understand your specific needs, installation and configuration of CiviCRM on our servers, data import and migration, and initial remote training of your staff. The monthly subscription includes the hosting, maintenance and updates of your solution as well as ongoing technical support, mentoring and continued education as needed by your staff. Much of this work happens ‘behind the scenes’, and you will only see that your applications are maintained and performing as expected, and know there is always someone available to answer your questions or provide assistance. January CiviCRM online training promotion - Register Now!